Swick is an exciting, sporty fashion style, suitable for active, everyday use, with a lightweight frame, and a choice of standard or glare-eliminating polarised lenses. Swick is based on the same family technologies found on the Swank - durable Grilamid TR-90 frame, scratch-resistant polycarbonate lenses, hydrophilic rubber nosepiece, integrated cam-lock hinge - with a textured Glide surface treatment on the arms, but has a larger, squarer lens shape compared to the Swank, and a pronounced 6 base curve for closer coverage to the face. Swick glasses include a microfibre cleaning pouch and presentation box. 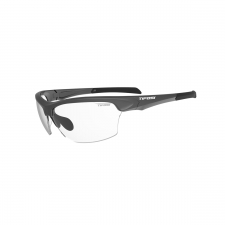 Grilamid TR-90 frame is lightweight and durable for all day comfort. Hydrophilic rubber nose pieces provide a no-slip grip, so the more you perspire, the more they grip. 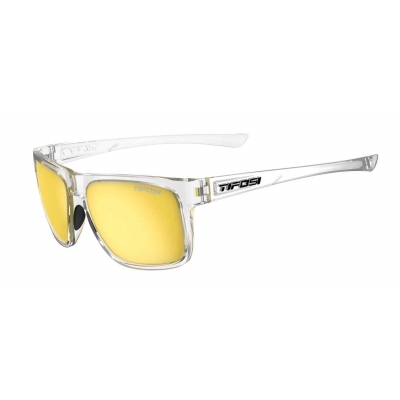 Polycarbonate lenses are shatterproof, scratch-resistant and optically decentered for optimum clarity. An integrated cam-lock hinge creates a sleek and streamlined design. 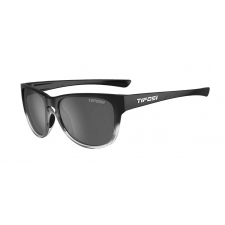 Tifosi Glide is a special rubberised finish on the arms, allowing them to slide on fast and provide a snug, anti-bounce fit for all activities. 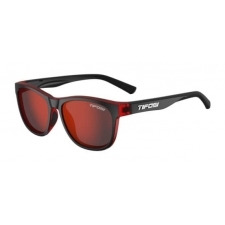 Buy your Tifosi Swick Glasses with Single Lens from Revel Outdoors.